The selling techniques and digital marketing tips discussed in this blog will absolutely increase your conversion rates. As long as you approach these tips in a way that fits with your online business, you’ll find yourself being mindful of the little things you can do to increase sales. So… what’s the problem then? Making money from your products is a good thing right? Think about it for a second… “we”, as an industry, accept that 2% is a “good” conversion rate. But what about the other 98% of people who just leave? Where did they go? What went wrong? Why didn’t we get the sale? If you could increase your conversion rate from 2% to 4%, your business would essentially double. This is where conversion optimization comes into play. In this article, we will share ten tips that will help MORE of that 98% stay on your website, take out their credit cards, and provide YOU with more business! Selling Technique 4: Track Everyone! The concepts of landing pages are simple. But they are far too often overlooked -- especially for those just starting out. The purpose of using a landing page is to be able to focus on having your visitor take one clearly defined action. Below is an example of a solid landing page. We saw it on this landing page guide at Hubspot. ​Landing pages are extremely effective and are still underused. As you can see, this page has one purpose, and one purpose only: to collect an email address from people interested in the offer. That is the beauty of creating landing pages. We do not let our visitors get lost with information overload. There aren’t a bunch of sidebars and widgets with blog posts, videos, and testimonials. Instead, it’s one simple landing page with one simple offer. This is especially important when running paid traffic to your site. Think about it – if someone goes to your landing page, they know EXACTLY what they are getting from you. Simplicity is key. Alternatively, if you send them to a traditional website homepage, they can quickly become overwhelmed and leave your site before doing what you need them to do. ​More than half (54%) of consumers have stopped purchasing products from a brand or retailer website because choosing the right product was too difficult. ​In fact, 42% admitted to abandoning a planned purchase altogether because there was too much choice. ​To prevent decision paralysis, 68% of shoppers want their favorite brands or retailers to provide them with honest and personal advice, while 44% expect proactive product recommendations and tips when shopping online. People get overwhelmed! They leave because the sites they visit aren’t human enough. This is why incorporating easy-to-follow landing pages is one of the most important digital marketing tips we can pass on. Using a landing page is a way for you to make your intentions known to your customer -- offering them a great product while honing in on the sale! If your UVP is longer than a sentence, you probably need a new one. Let’s face it… you are not the only one offering whatever type of product or service it is that you sell. And that’s okay, competition is a part of business. But, what is so special about YOUR offer? And what is your unique value proposition (UVP)? This is one of the most (if not the most) important part of your offer. Your UVP should be a statement that expresses the specific benefits of your product. It tells customers why you’re better than the competition. You need to explain how your product solves your customer’s problems. These examples of UVP are simple, clean, and to the point. Notice the simplicity of these pages. There’s a ton of open space, yet the text and image is clear and to the point. They clearly define the unique value that these companies offer. If you’re not sure, look at other websites and businesses for ideas. Remember, your unique value proposition should be incorporated into everything you do as a business. If you don’t differentiate yourself or your product - you’ll fall beneath the mass of other online businesses. Obviously, we cannot do this after they leave (okay, I know we can retarget them, but IDEALLY we want to stop them before they leave). So how do we find out where customers are getting stuck? How do we find out what is causing them to be confused? How do we find out how we can improve on our offer? It’s simple – we ask them! We do this with timed Live Chat pop-ups on specific pages. We use Zendesk Chat for this, and we would recommend them as well. You have probably seen these little overlay pop-up windows many times in the past. Live chat pop-ups may annoy some people, but it also helps engage with serious buyers. A lot of businesses use live chat pop-ups. However, a lot of businesses use them wrong. And those are just a few examples. By engaging your visitors and by asking for feedback, you will be able to improve upon you offer and easily increase your conversion rate. Business is all about serving your customers, and the more easily you can help them, the more they will buy from you. Weird, right​? Of course helping your customers will increase sales! Customers will be loyal to you if you treat them right. In a dream world, we could talk to every visitor that ever comes to our site, solicit feedback from them, and make them happy. But unfortunately, we don’t live in a dream world (sorry, Buzz Lightyear fans). This is reality, and there aren’t enough hours in the day for us to please everyone. This is especially true for high traffic sites. So how can we get a clear idea of what is going on with our visitors if there are just too many people to talk to? I don’t mean a physical map inside a sauna. Heatmaps aren’t literal. What you are seeing is an overlay of a web page (only visible to the website owner), which shows where potential customers are clicking. Why is this important? Because it allows us to optimize based on what our customers are already doing! By tracking our visitors’ actions, we learn what to improve upon. This varies from page to page. If people are clicking headlines and links that take them away from the site, we know to eliminate those particular links. If people are clicking on reviews, we know to add more product reviews in that section. For example, on the product page, we want people to be clicking “Add to Cart”. If we find that they’re clicking anywhere else, we can change the page in order to get the customer where we want them. This is about optimization as well. It’s not just about getting the customer to click where you want. If you keep the customer in mind when optimizing the “hottest click points” on your site, you’ll be able to curate a better user experience. Making the most trafficked areas of your site MORE accessible will lead to user happiness and more sales. While this is especially true for eCommerce store owners who sell physical products, it also holds true for information product owners and SaaS companies. It’s simple. Shoppers want to know what they are getting. Do you think someone would buy a $3,000 chandelier online if the vendor was showing one small photo like the one above? You need to make sure you have high-resolution photos, multiple camera angles, and close up shots of specific parts on your product. Doing this will have a drastic impact on your conversion. Trust me -- as soon as you upload the new, better photos, you’ll probably notice a difference in sales. Plus, the better your images are, the better your site looks, and the better your business looks. Easy change for big results. You may be thinking, “This must only be true for online stores who are selling physical products,” but it actually applies to anyone who is offering any product or service online. One of the main reasons visitors leave sites is due to confusion. Knowing this, it is your job to eliminate the opportunity for confusion as much as possible. It’s that simple. This information needs to be clearly displayed on every product page. When customers know exactly what they are getting, they are more likely to pull the trigger and spend their money with you. If you offer a physical product, you should list a ship date and an estimated delivery date. If you offer a digital product, you should let them know when they will receive access. It sounds simple, but you’d be surprised at how many online stores don’t do this. This is about building trust with your potential customer base. You need to let them know that as soon as they spend their money with you, everything will be alright. Have you ever heard the saying “less is more”? We find this to be especially true when it comes to checkout pages. 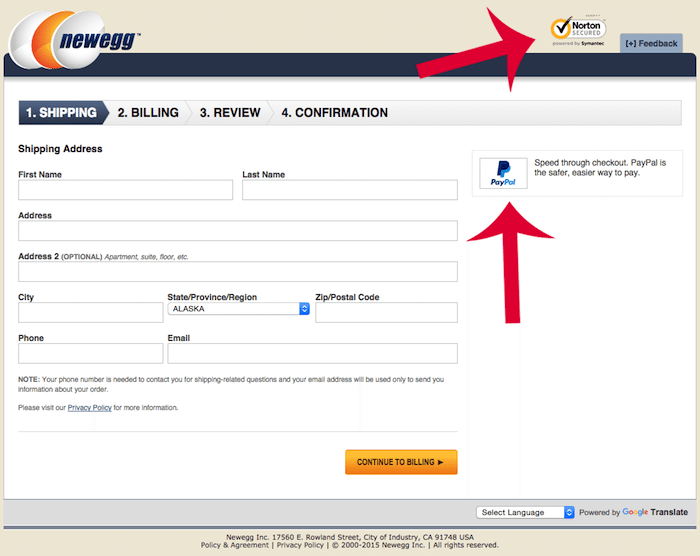 Look, if a visitor makes it all the way to your checkout page, your job is to seal the deal. Let me say that again, your job is to seal the deal! Not to include a bunch of links, a bunch of text, and a few images. They’re soooooo close to getting the product they wanted! So what should you show them? We recommend adding your social proof by associated yourself with other businesses besides your own. This could be done by using a security seal, a partner badge, or even the logos of the payment processors that your business works with. ​You want to keep your checkout pages simple yet effective. A survey done in 2017 showed that 90% of online buying decisions are influenced by user-generated content (UGC). The numbers speak for themselves. Online shoppers are almost always influenced by what other people have to say about your company. User-generated content is any unpaid photos, reviews, testimonials, or advertising by the customer. In this section, we focus on the review aspect of UGC. So what exactly are online shoppers looking for in a review? Your potential customers want to take more than just your word for it. They want to know that the services you offer are up to par. They want to know you will treat them right if something goes wrong with their order. They want to trust the person who is taking their money - as they should! It’s your job to supply an excellent product, treat your customers fairly, and honor every customer. If you have reviews bolstering your reputation as a company, folks will be more willing to do business with you. Jim Davidson (Director of Research at TurnTo Networks) found some interesting facts about UGC. See below. 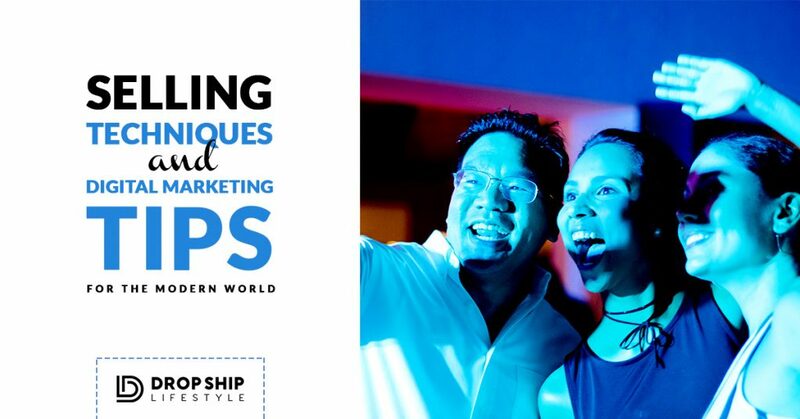 ​61% report UGC encourages them to engage with brands. We now know that we need reviews from our best customers in order to drastically increase our conversion rates, but how can you display them? You do this using social proof. For your company, that means linking the reviews (aka testimonials) to REAL online social media profiles. Why do we do this? Well, another study has shown that people are more likely to buy if a product or service is endorsed by a friend. ​When a Facebook “friend” recommends that you take an action online, the impact, as compared to a simple ad solicitation, is major. You’re 15% more likely to download something and 8% more likely to buy something. If and when you do buy, the average order size is 22% larger." We put this to work for our businesses by linking all of our reviews so that our reviewers can share them with their friends and family. Which of course, increases sales. Using this method also increases our overall conversions because it allows even our “cold” traffic to see that our reviews are left by real people. Have you seen the massive amount of testimonials we have on our course page? I’m telling you, it works. 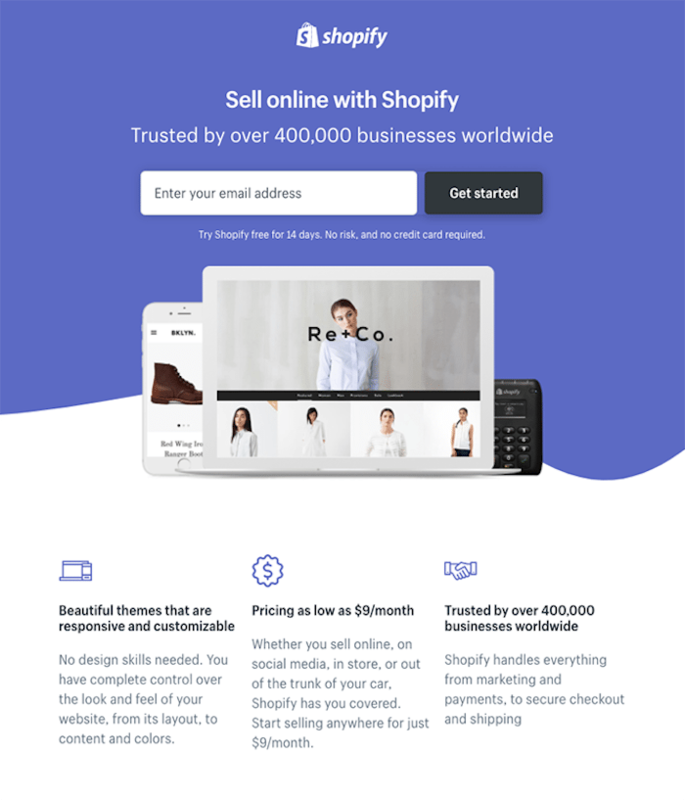 This is a super simple way to increase your conversions very quickly, and you can get started today by using the Shopify App. The Authority Principle says that we are more likely to take an action when guided by the presence of authority. When it comes to online business, we can look at titles for authority in two different ways. One being endorsement by a doctor, or a lawyer, or someone respected in your industry. The other way would be by getting endorsed (or, at least appear to be) by a brand. Here is an example of this in action on our home page. ​Including logos of popular brands that you have worked with will increase your credibility. As you can see, the footer is full of trust badges which trigger the authority principle in website visitors, making them more likely to place an order with our company. If you’ve worked with a brand or been featured on their site, use their logo to show authority. This will remind your potential customers that you are the real deal. It’s a little action that goes a long way. Small hinges open big doors. When you’re optimizing your site, a lot these things may seem tactical and minuscule. Some of them are, but a slight change can result in a BIG result. So now that you’ve got the know how, it’s time to get started. Any questions or tips that we missed? Keep the discussion going in the comments! Thank you for such great tips I am looking forward to taking the right steps and my goal is to make more than and I get at my job and go all in and live the drop shift lifestyle. Great article, I love the quick examples and information (just the right amount). I am brainstorming how I can not only apply these to the DSL sites I will be building but now how I can incorporate these into my other websites to make them better. I found this article from our FB group and so glad I didn’t pass it by!Thanks Anton…this pumps me up to continue my plans to not only watch all of the videos but to also continue to read through the blogs and make great use out of the information. I realized that the DSL is going to be a lot more work than I anticipated, but based upon all the learning I did prior to your course, I would rather cool my jets and optimize my learning opportunity here, than rush into it and create something sloppy that I would have to redo and fix all over the place! I think #2 is way more important than most people realize! Having a “Clearly Defined Unique Value Proposition” (UVP) will answer the customer’s underlying question “Why should I buy this here instead of somewhere else?”. Now, having said that, it’s not necessarily an easy thing to come up with your clearly defined UVP. Maybe some more training on how to do that Anton? Thanks! The more obvious ones are speaking directly toward our audiences (since we are building niche specific stores), offering better customer service, and providing more information and images than your competitors. The less obvious would be niche specific bonuses. You’re welcome 🙂 Happy to share! Great and really valuable tips. Thanks for the article…I better get to work! No worries! I hope you can implement all of these in your own business. Thanks for these great points and i am glad to stumble upon it. I can see that two out of the ten are specifically directed to e-Commerce business while the rest can be applied to all sort of online business opportunity. Very true and i completely agree. Thanks again Anton. You are the man. Hey Richard, Thanks for leaving the comment.